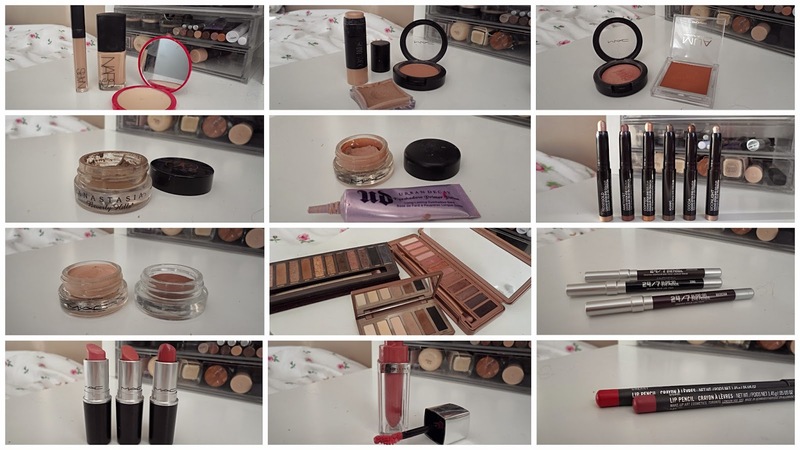 Welcome to my last favourties of 2014, seeing as we've reached the end of the year I've decided to round up a collection of all my favourite products from each beauty category (base, eyes etc. ), instead of doing a December favourites. Primer: I still haven't found my holy grail primer and I hope that 2015 is the year that I do. Any recommendations of your favourites are welcome! Foundation: NARS Sheer Glow Foundation - Mont Blanc. Shock. I literally haven't shut up about this foundation since I purchased it earlier on in the year. It offers the perfect amount of coverage, the finish is beautiful and it contains no SPF, so photographs perfectly. Powder: Bourjois Healthy Balance Powder (Vanilla). This finely milled powder not only sets my make-up for the entire day, but it also adds that final hit of coverage without turning my base cakey. It's at the more expensive end of the drugstore but you're definitely paying for the quality. Contour: Illamasqua Cream Pigment - Hollow & Mac Harmony Blush. I swear by using Hollow to contour my nose on a daily basis. I broke my nose when I was younger and it's probably my most hated feature on my face, but thanks to contouring I can have a some what slimmer schnozzle. Mac Harmony blush is perfect for the rest of my face, it's slightly too warm for my nose but perfect for carving out some cheekbones. Bronzer: MUA Bronzer - Shade 2. Possibly the cheapest item on my favourites. 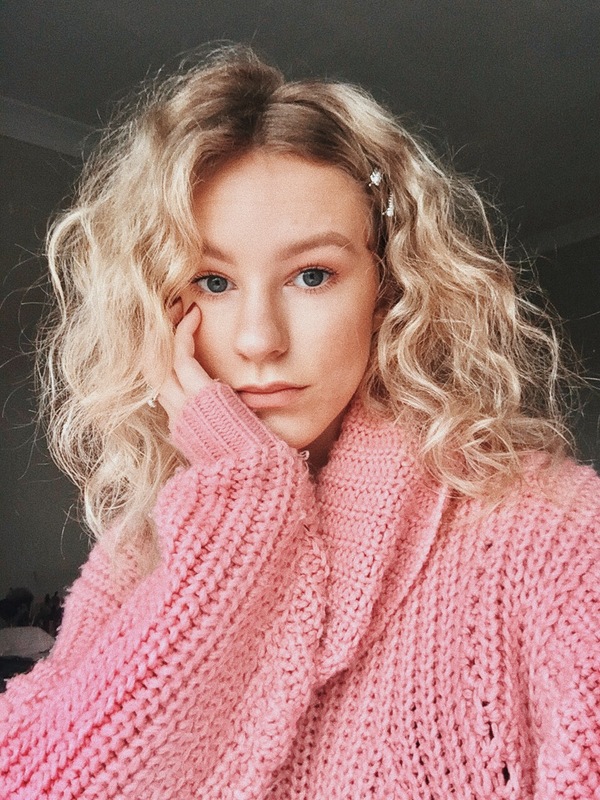 It's a very warm toned bronzer with a hint of shimmer that is perfect for when I've fake tanned and want to match my face to my body without having to buy 60 billion foundations in 60 billion colours. The packagings not all that exciting, but the product itself is really rather good. Blush: Mac Warm Soul Blush. It's a gorgeous warm rose blush with golden shimmer running through it. It sculpts, warms and highlights the skin in one, it's simply beautiful. Highlight: Topshop Glow Stick. I love the cream-powder finish, yet it still leaves the skin looking dewy and I'm obsessed with how easy the application is, just swipe and go! Brows: Anastasia Beverly Hills Dipbrow Pomade - Blonde. Hands down the most amazing brow product out there.It's waterproof, smudge proof, life proof etc. It does take a little bit of getting used to but once you've got the hang of it, it's perfect. Eye Primer: Urban Decay Primer Potion & Mac Paint Pot - Painterly. The primer potion is a super light weight colourless primer that hangs on to eye shadow for dear life, it stops creasing and intensifies the pigment in the shadows I'm using. Mac Paint Pot in Painterly does a similar job yet it has a colour to it that helps neutralise veins and discoloration. Cream Eye Shadows: Laura Mercier Caviar Stick Eye Colours, Mac Paint Pot - Bare Study & Maybelline Colour Tattoo - Creamy Beige. Long lasting, easy to blend, come in the most beautiful of colours, what more could you want? Powder Eye Shadows: Urban Decay Naked 1, 3 and Basics. THE BEST EYE SHADOWS I HAVE EVER TRIED. end of. Done. Fin. Eye Liner: Urban Decay 24/7 Glide On Eye Pencils. They're super creamy, pigmented and easy to blend yet once they've set, they're not going anywhere - even on the waterline. Mascara: Another product I've still not found my true love for. Again recommendations are welcome! Lipstick: Mac Twig, Creme Cup and Patisserie. These have seriously got so much loving this year, I love Mac Lipsticks, they are by far the best I've ever tried. From the formula, to the pigmentation to even the beautiful vanilla scent, you can't fault them. Lip Liner: Mac Soar & Cherry. Worn alone all over the lip, or paired with a lipstick they are beautiful. They're long lasting and really help stop any lipstick from bleeding, I'm looking forward to getting my hands on some more in 2015. Lip Gloss: Maybelline Colour Elixir - Caramel Infused. There non-sticky formula and beautifully pigmented colours, easily make them the best lip gloss of 2014. What has been your stand out product of 2014?